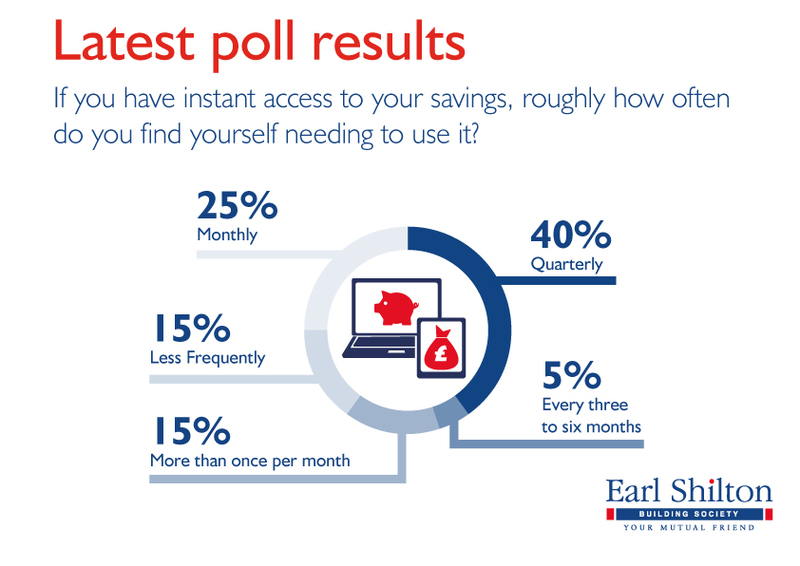 The results of June’s poll suggest that around four in five of our respondents who have instant access to their savings accounts will dip into those funds at least once every three months on average. 25% of those will find themselves accessing their savings every month, with 15% tending to do so more frequently. The poll suggests that 20% of those with an instant access facility will refrain from using it for more than three months at a time. Of that number, 15% will usually go for six months or more at a time without needing to touch their savings.